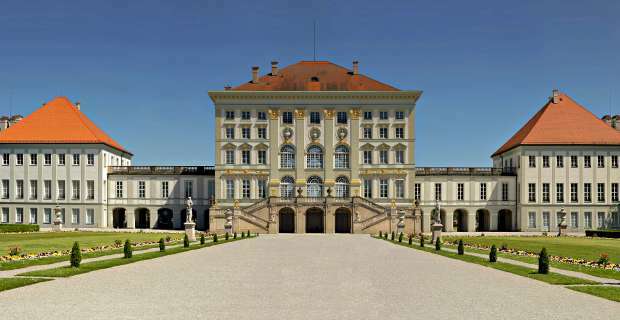 The Royal Residence (Residenz München) – This was the Munich home of the Bavarian royals for hundreds of years. From the outside it looks a rather sober building, but the true magic is inside. Despite damage in the Second World War, the palace is packed with impressive rooms. Don’t miss the amazing ‘Antiquarium’ in particular. It’s a long hall with statues on every surface and beautifully painted ceilings. You can also see the Monarch’s jewels in the Treasury and the old Theatre (separate fee). The Munich Residence is in the city centre near Odeonplatz. 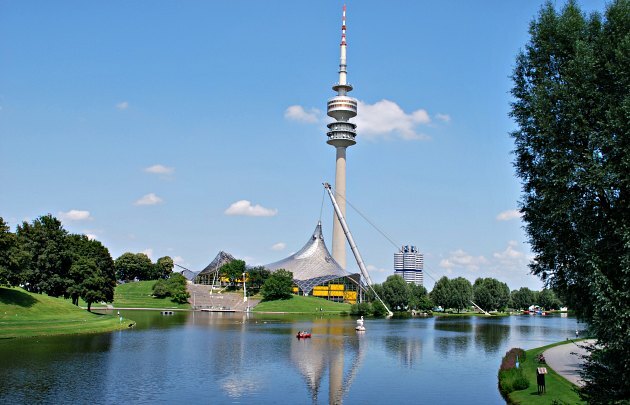 Munich Olympic Park (Olympiapark) – Munich held the Olympic Games in 1972 and the resulting Olympic Park is beautiful. The green hills with their walkways surround a pretty lake area with the huge Olympic Tower which offers a distant view of Munich’s skyline. The Olympic Stadium still remains too with its incredible undulating glass roof and is a home for concerts and other sports. Also in the Olympic Park, you can take a boat out on the lake and see the ‘walk of fame’ with the hand prints of the some of the world’s best known performers. U-Bahn line U3 takes you to the Olympic park. 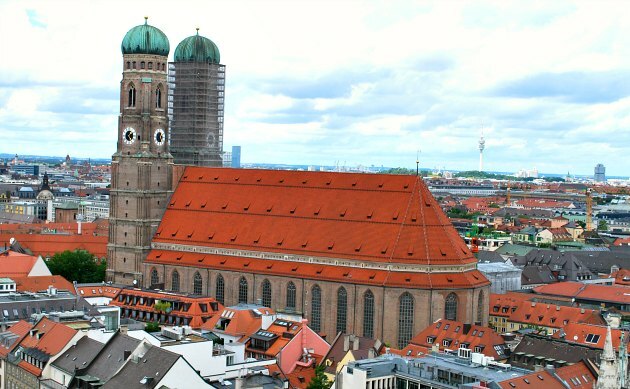 Munich Cathedral (Frauenkirche) – This huge, brick-built cathedral is one of Munich’s best known buildings. In particular, the onion-topped towers can be seen from all around the city centre. Inside, the high vaulted ceiling emphasises the size of the building and visitors spend as long looking up as they do looking around. Frauenkirche is just off the main shopping street in the city centre. 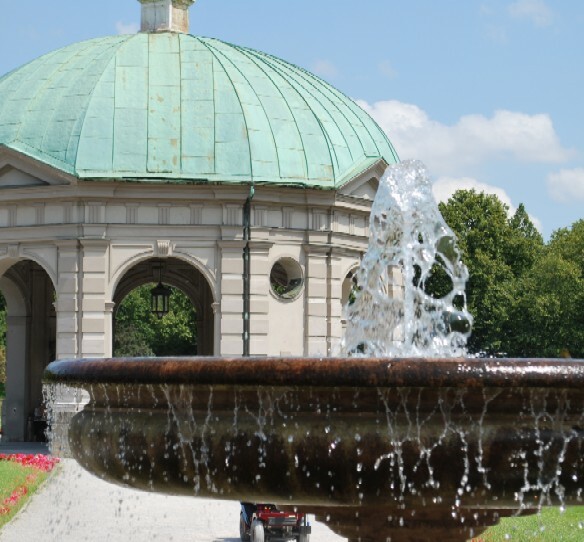 The English Garden (Englischer Garten) – This park is absolutely huge and stretches from the city centre, right to the outer limits of Munich. 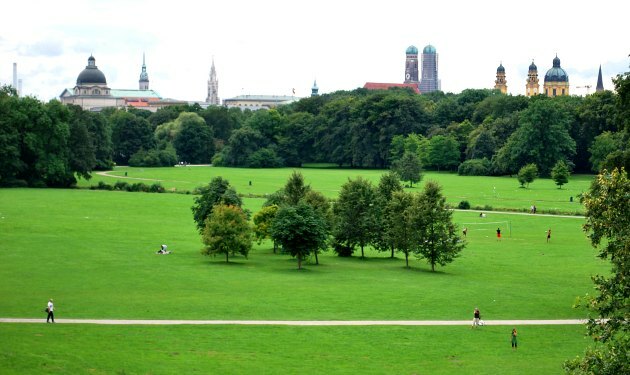 Some of it is formally arranged but the further you go out of Munich, the more it becomes general informal parkland. The English Garden is a beautiful place to spend time and there’s so much to see. Look out for the waterfalls, the Chinese Tower and the Japanese Tea House. 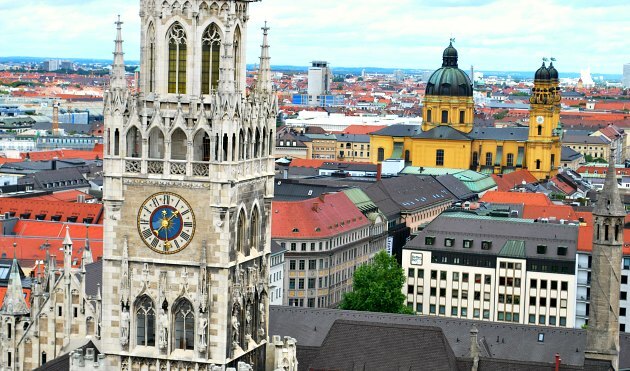 Marienplatz – This attractive paved square is the hub of Munich’s city centre with a bustling atmosphere day and night. The impressive City Hall (Rathaus) is here with its famous performing Glockenspiel. At 11am and some other times, the decorated characters perform to music in front of the gathered crowd. It’s a lovely place to stroll around and stop for a drink. From Marienplatz, you can also enter the nearby produce market which sells everything that’s edible and Bavarian. The Court Gardens (Hofgarten) – This public garden, directly outside the rear of the Residence and adjacent to Odeonplatz is a true oasis of peace and tranquillity. The domed temple in the middle dates back to the 1600s and in summer, the flowers here are beautiful. It’s a great place to escape to. St Peter’s Church Tower – We think this is the best option for seeing Munich’s skyline, but it is quite a climb and there is no lift. At the top of the tower though, you get the famous view of the Frauenkirche with the Olympic park and Olympic tower behind and the Rathaus to the right. You’ll also see just how red the rooftops of Munich are. The church is also known as Alter Peter. Nymphenburg Palace (Schloss Nymphenburg) – This was the ‘out of town’ summer palace for the Bavarian royals. 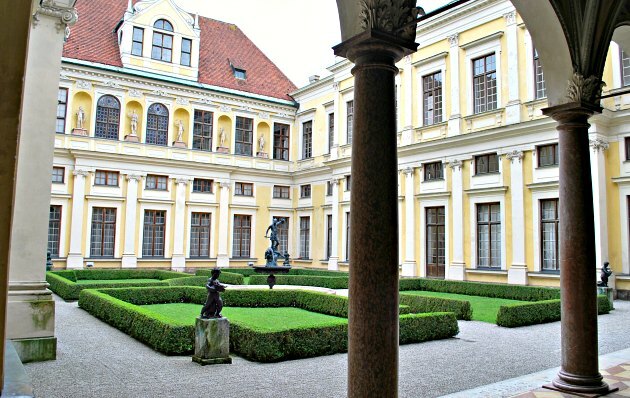 The palace and its accompanying gardens are one of the most impressive sights of Munich. The palace has been extended over the years but the tour covers most of the significant rooms including the centrepiece Great Hall. Make sure you allow enough time to explore the palace grounds too and in the stables there is a collection of antique carriages. Nymphenburg Park is in the west part of Munich around 15 minutes from the city centre and is easy to reach by public transport. 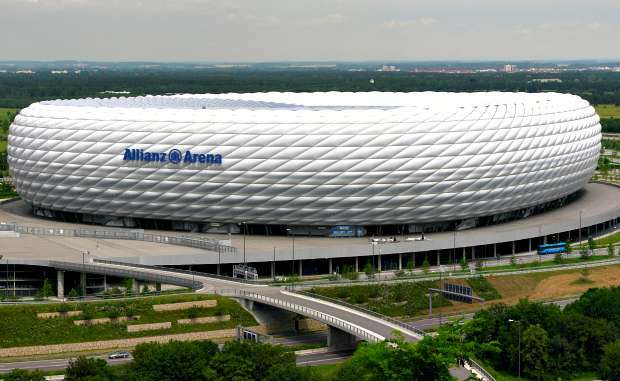 Allianz Arena – Built for the 2006 World Cup, the arena looks like a huge white tyre lying on its side. The stadium is home to FC Bayern München and TSV 1860 München who previously played their games at the Olympic stadium. The stadium holds up to 70,000 people and at night it can be lit up in different colours, depending on which team is playing. The nearest U-Bahn station is Fröttmaning on the U6 line. English language tours take place daily at 1pm at a price of 10 Euros (2015 prices). 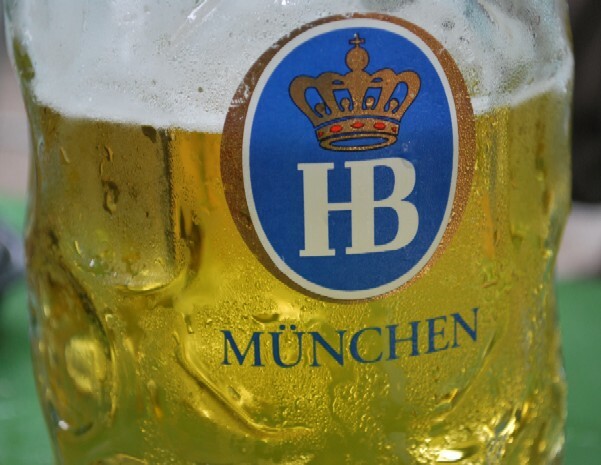 Bavarian Beer & Food Evening Tour consistently gets good reviews. Firstly a visit to two of Bavaria’s most stunning castles, Neuschwanstein Castle and Hohenschwangau Castle which overlook each other at the foot of the Alps. Neuschwanstein is reputedly Germany’s most photographed building and was the inspiration for Disney’s Sleeping Beauty Castle. It’s also been in a whole range of movies including Chitty Chitty Bang Bang. 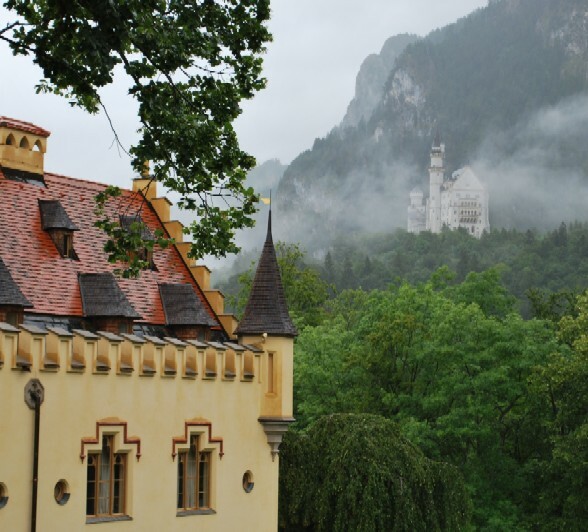 Hohenschwangau is the older of the two castles and in our opinion its interior is more impressive. You can get a joint ticket which gets you into both castles from the ticket centre at the foot of the hill but we’d recommend booking online in the summer months. The trip from Munich will take around 2 hours, but it’s worth it! 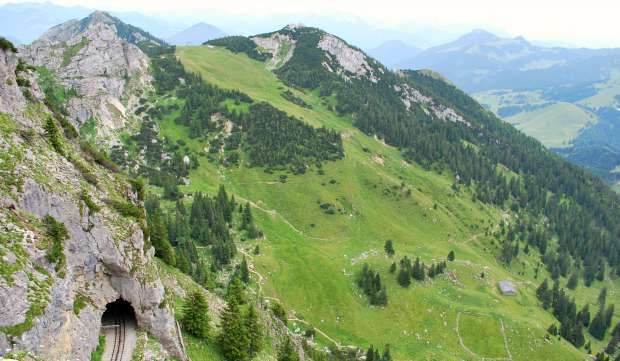 The other Alps highlight we’d recommend is the trip up Wendelstein Mountain. There are two options – the cable car or the railway but whichever you choose, make sure you head here on a clear day for the best views. You can check out the webcam/latest weather before travelling. We took the cable car option, which is quite expensive at 22 Euros (2016 prices), but the panoramic views are fantastic. Also at the top, a restaurant, café, small church, caves, mountain walks and the option to walk for a further 20 minutes right to the top of the mountain. The journey takes around an hour from Munich. The city centre is small enough to walk around and for longer journeys, the U-Bahn (underground/metro system), S-Bahn (overground railway system) and trams are reliable and get you just about everywhere. We found the ticket options on the U-Bahn were rather complicated at first, but you soon get the hang of it. There’s a good S-Bahn route from Munich Airport too which takes you straight to the city centre. Alternatively you see latest prices for a private airport transfer by clicking the Airport Transfers button. Another option for getting around is the Hop on, Hop off Open Top Bus Tour . 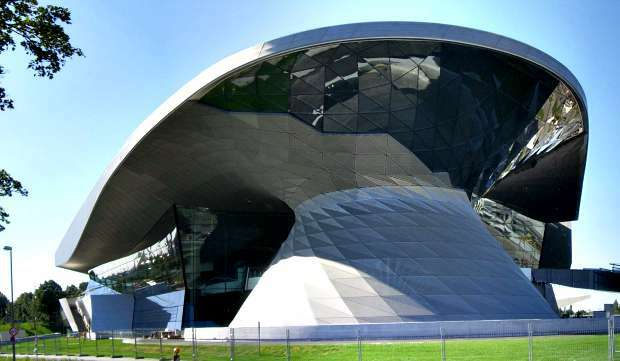 The Grand Tour takes you to the two areas we’ve recommended that are slightly out of the city centre – Nymphenburg and the Olympic Park. The downside with the open top tour is that you don’t see many of the city centre highlights as it’s all pedestrianised. The narration is informative though and we enjoyed the experience. Be prepared, the weather can change quickly in Munich and the temperatures can vary wildly even in the summer. For example, during a meal one night the weather went from a pleasant summer’s evening to torrential rain, thunder, lightening, high winds and cold temperatures in the space of half an hour or so.